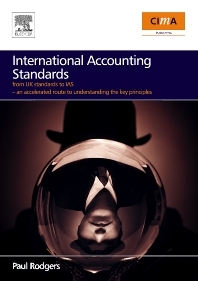 This handbook is aquick reference to International Accounting Standards and is designed for all those who interact with financial information, and need an accelerated route to understanding the key principles of international accounting rules. It is essential reading for all members of the management team. Members of any finance and accounting team will find it a practical summary of all the big concerns allowing relevant questions to be raised with auditors and other professionals interested in the governance of the business. Tables, diagrams and flow charts are used extensively throughout in order to make the information presented user friendly and quickly assimilated. The consequences for the non-accounting functions of a business are clearly highlighted, to give further insights into how International Accounting standards impinge on abusiness. Shows the impact both on preparation and presentation of financial information and the consequences for analysis and interpretation. Identifies the major differences between the two standards and reflects changes expected in the future. Paul Rodgers trained as a chartered accountant before working in the computer industry. He subsequently moved into the training sector where he has specialised in financial and management skills for more than seventeen years, whilst keeping in touch with the commercial world as a director of a large training organisation and its publication function. Clients have included participants from international accountancy practices, banks, government departments plus a wide range of retail and service companies.